It seems intuitive to push a button or flip a switch when we want to turn something on or off – but the Plugg radio calls into question the standard way of doing things. 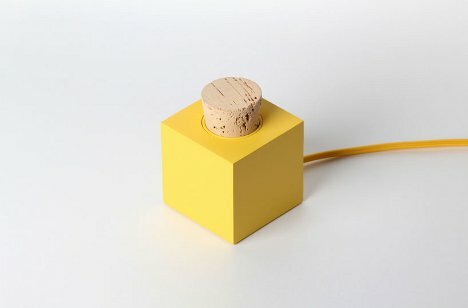 This radio works not with a switch, but with a cork. 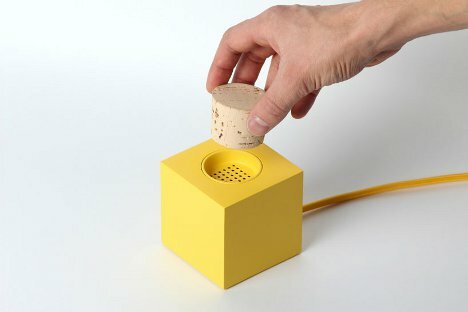 Norwegian design team Skrekkøgle hacked some electronics and used 3D printing and laser cutting to create the sleek little prototype. It turns on when you pull the cork out of the top speaker indentation and turns off again when you replace the cork. The Plugg features buttons on the side to change the volume, but the designers don’t make it clear how you change the radio station. Regardless, the unexpected mode of interaction is a delightful departure from the norm that makes us wish for the opportunity to play with the corked radio. See more in Audio & TV or under Gadgets. January, 2013.